-JdK- Mark sent this photo of his dad on a Norton. 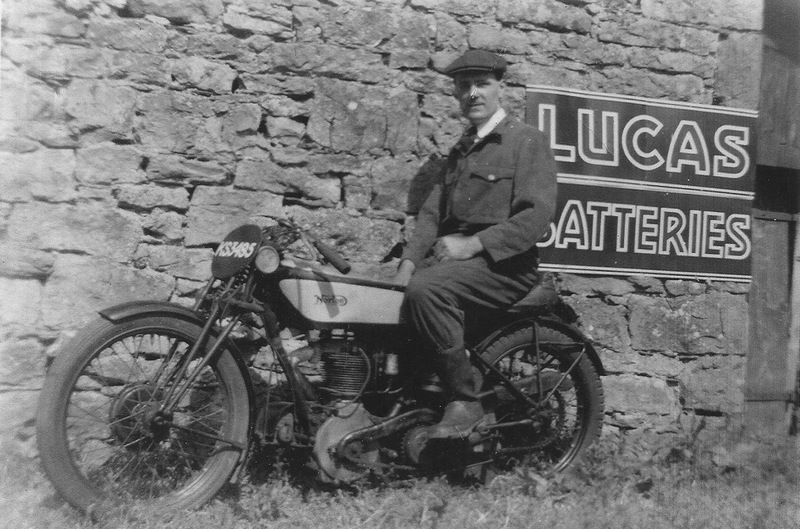 Here's Mark's story: "This photo was taken at the garage which my father Rex Allinson founded after the war at his family home in Newbiggin near Stainton Cumberland. After surviving the last year of WW2 as a flight engineer on a Lancaster, he sadly died from cancer in 1966 at only 40 years young. I don't remember this bike but do recall a Manx Norton he had in the cellar. He started it up for me one Sunday (maybe 1961), my mum went crazy, and I think it was sold not long after that ..."